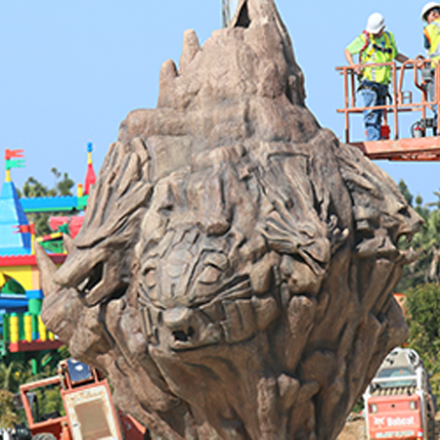 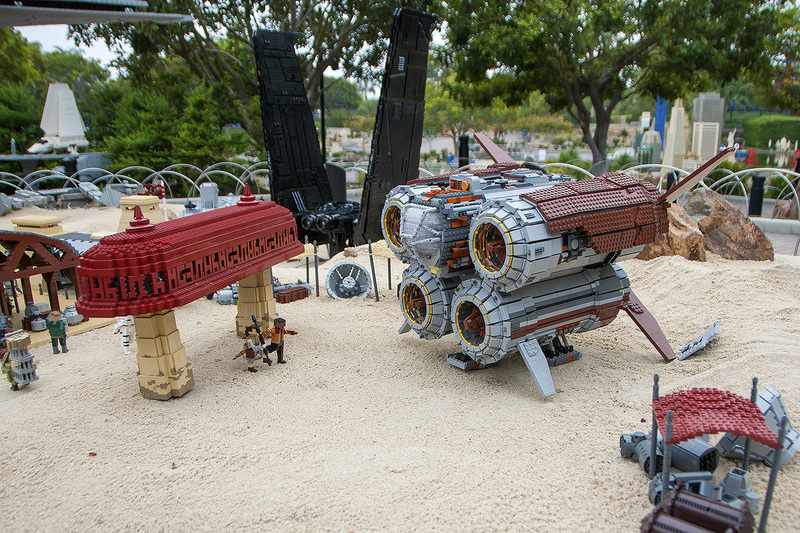 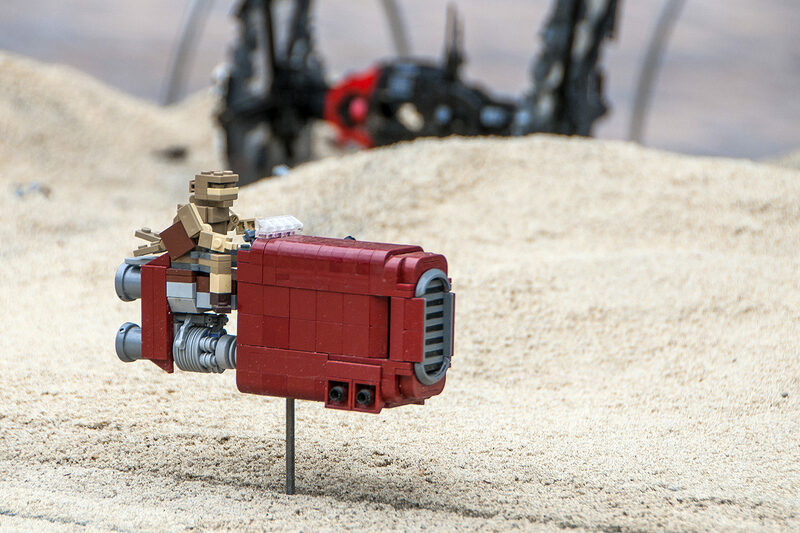 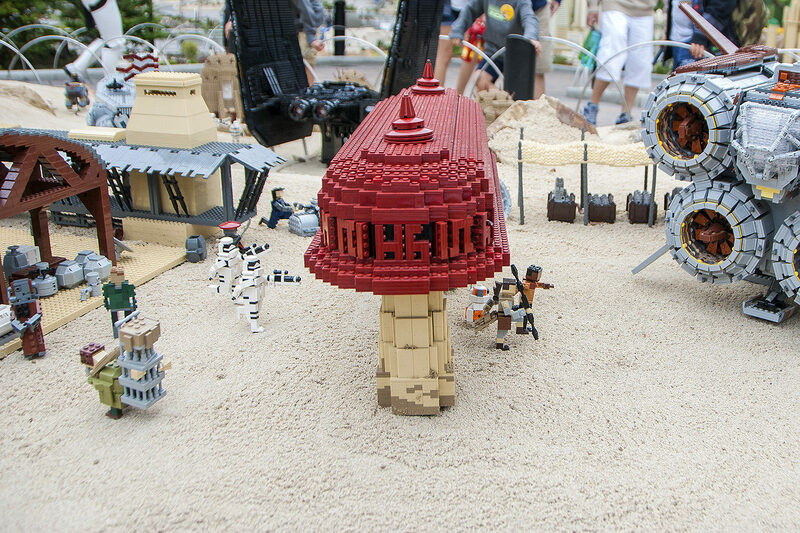 Earlier this year at LEGOLAND California, an older scene from The Clone Wars was replaced and refreshed with a few new scenes from The Force Awakens. 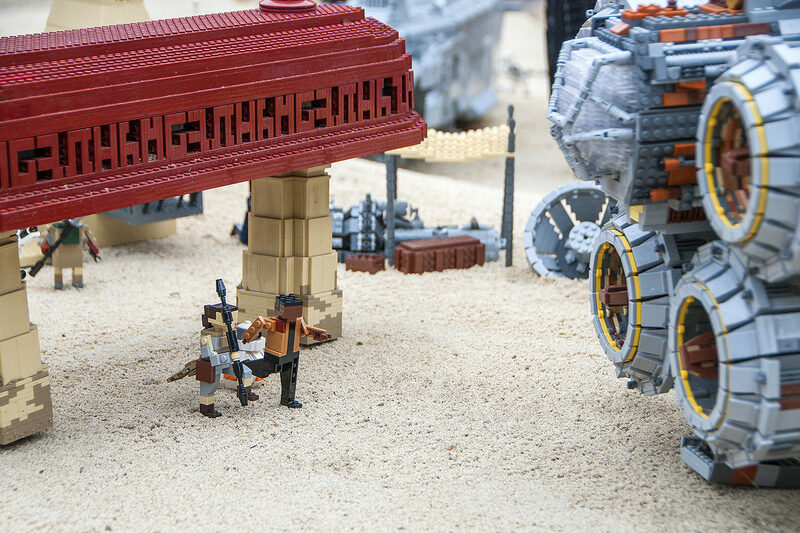 All taking place on Jakku, guests vising LEGOLand California can get up close and personal with Kylo Ren, Rey, Finn, and BB-8 as they escape the cluthches of the First Order. 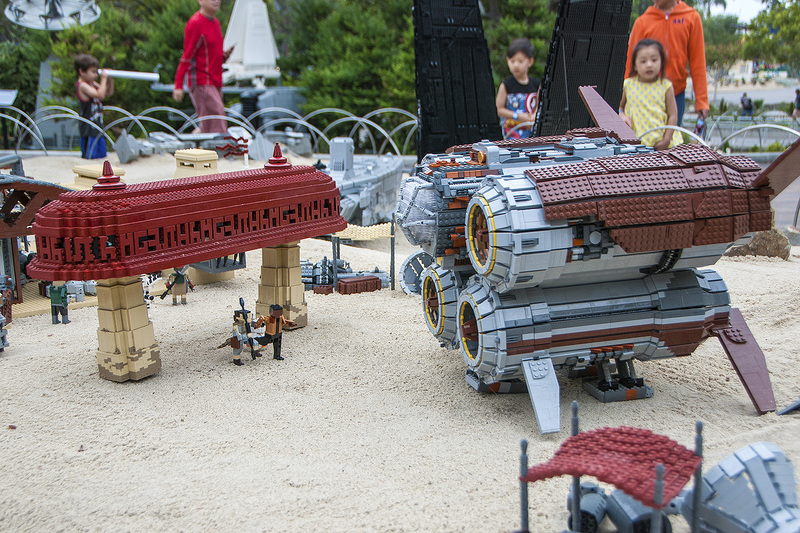 We sent our junior reporter to grab some photos of the experience and we present a handful of them below. 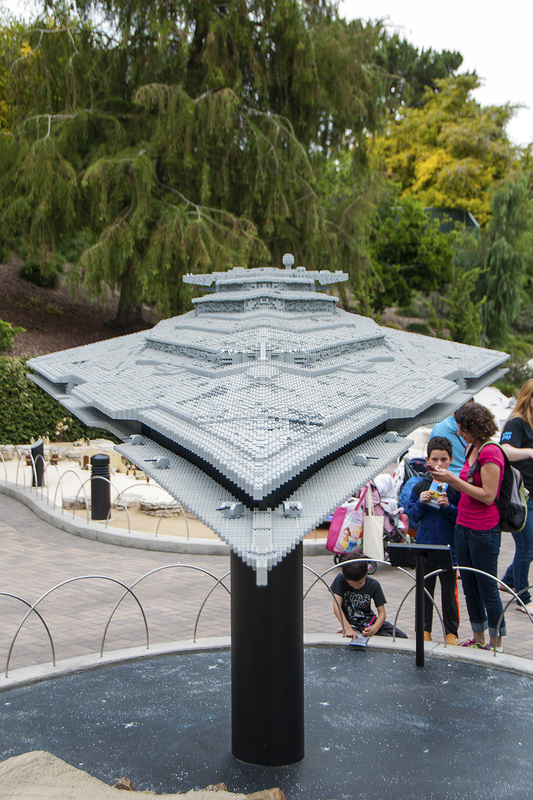 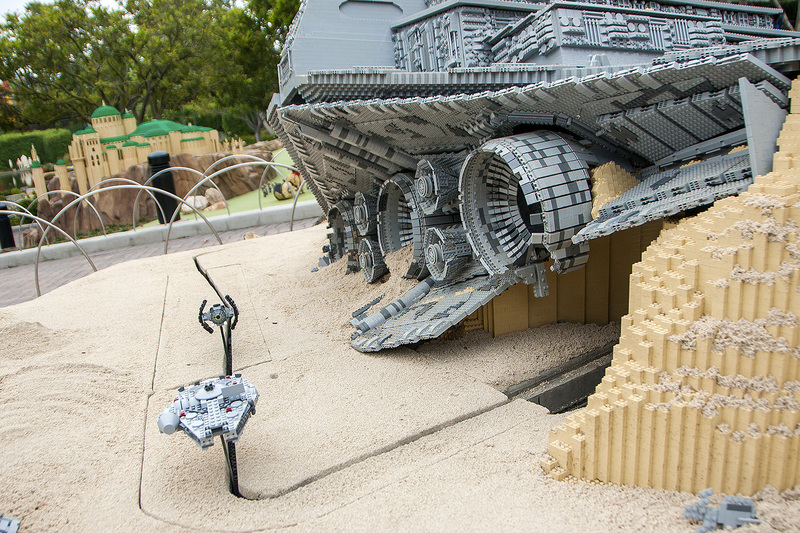 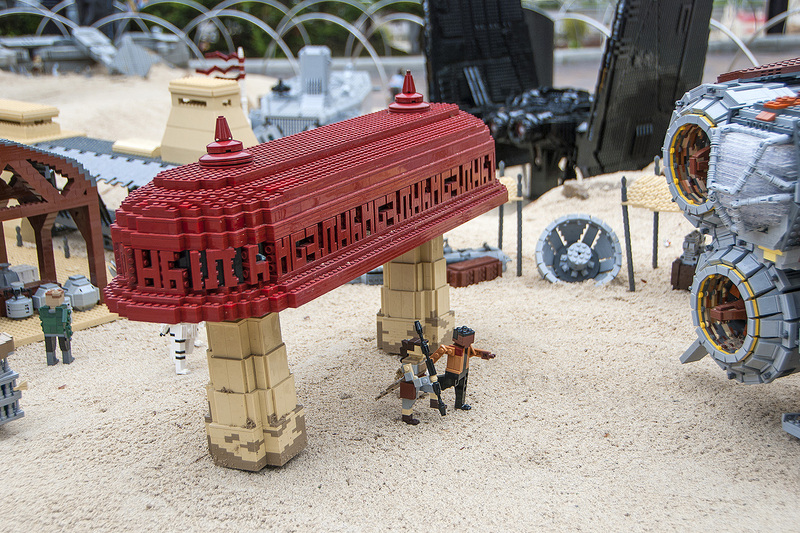 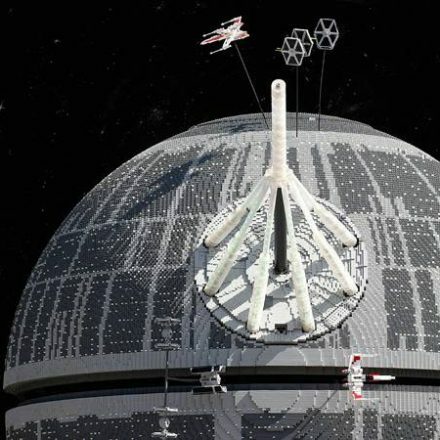 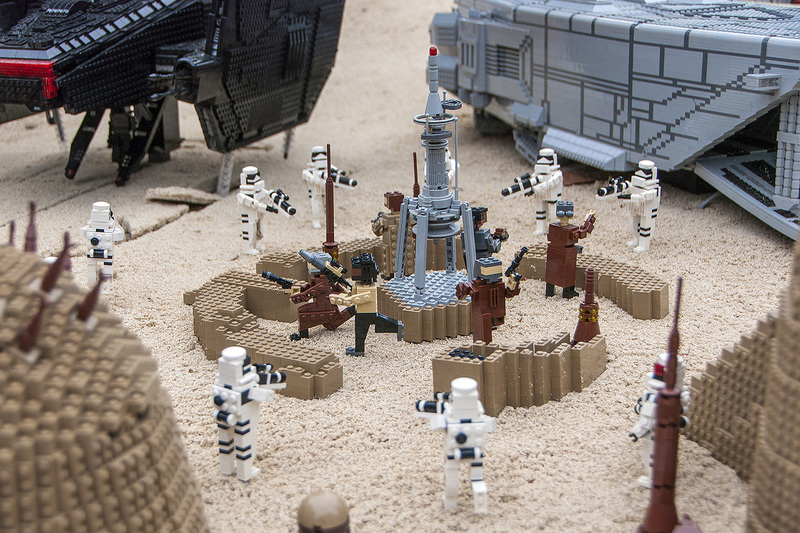 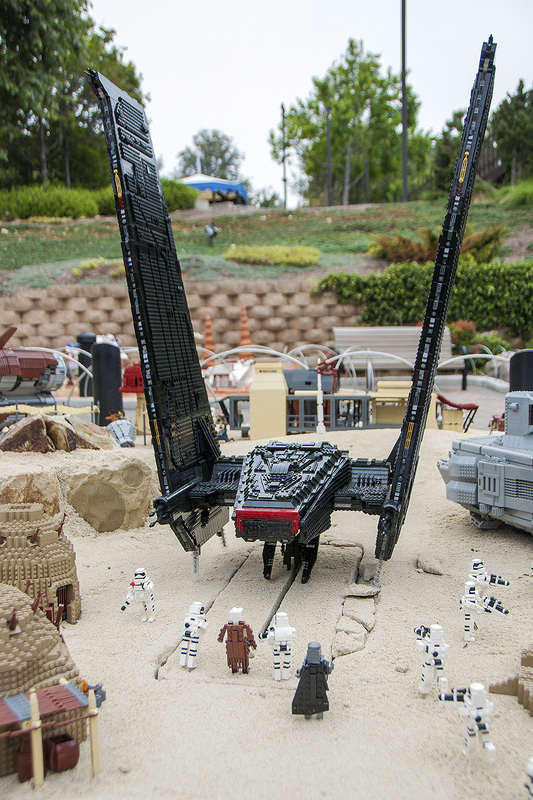 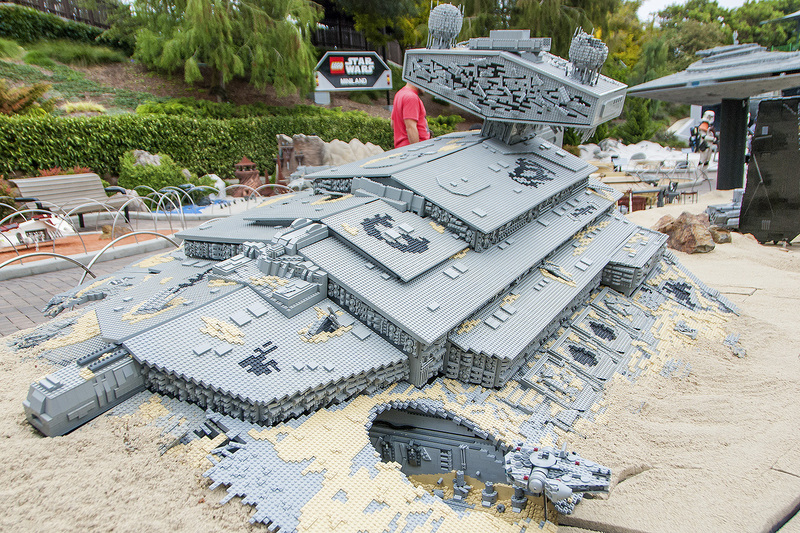 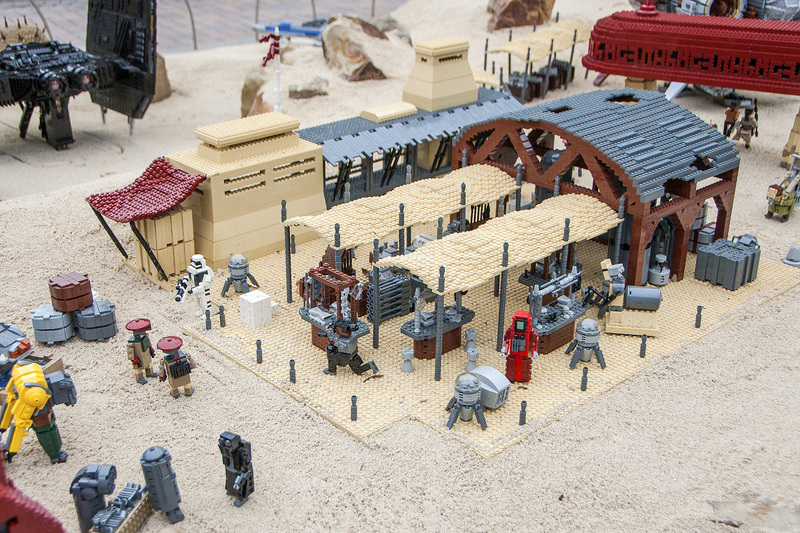 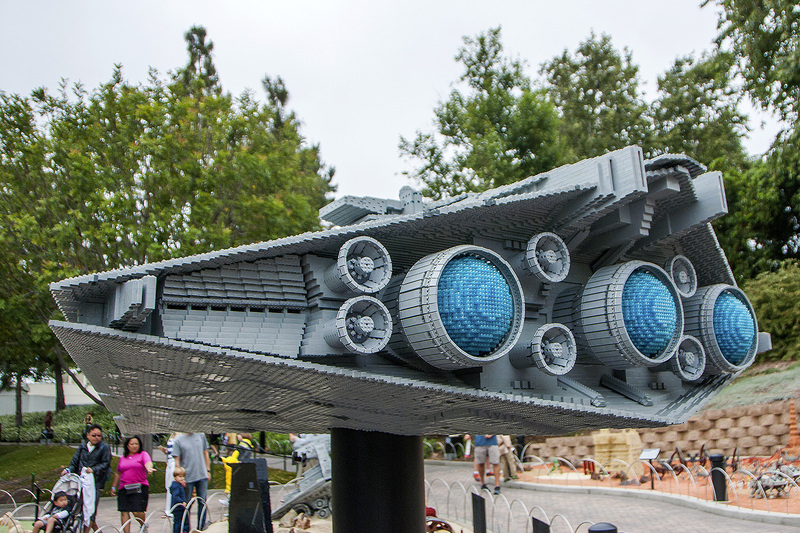 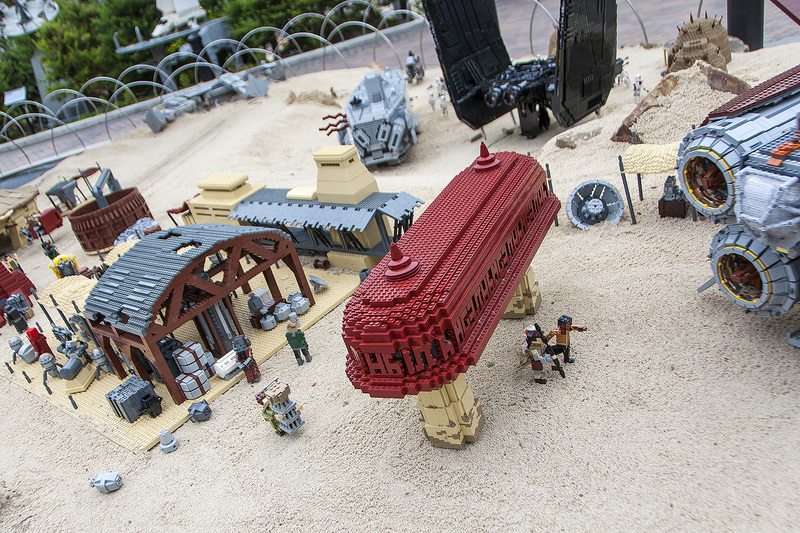 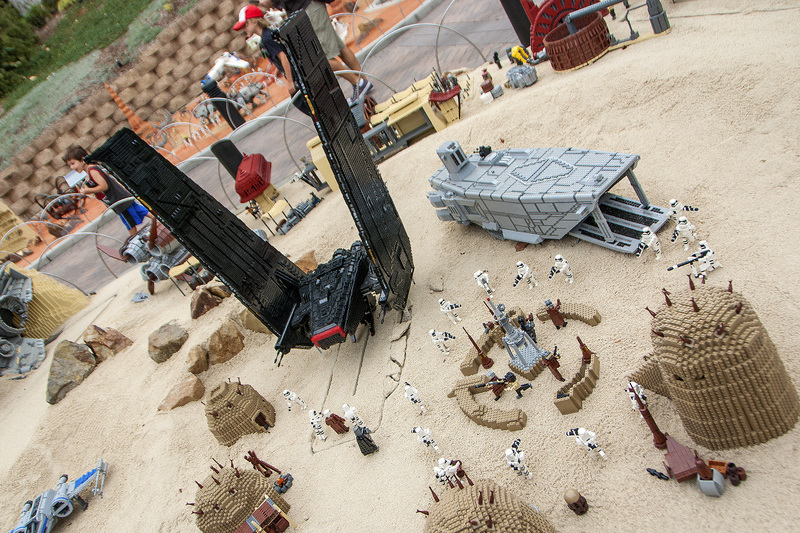 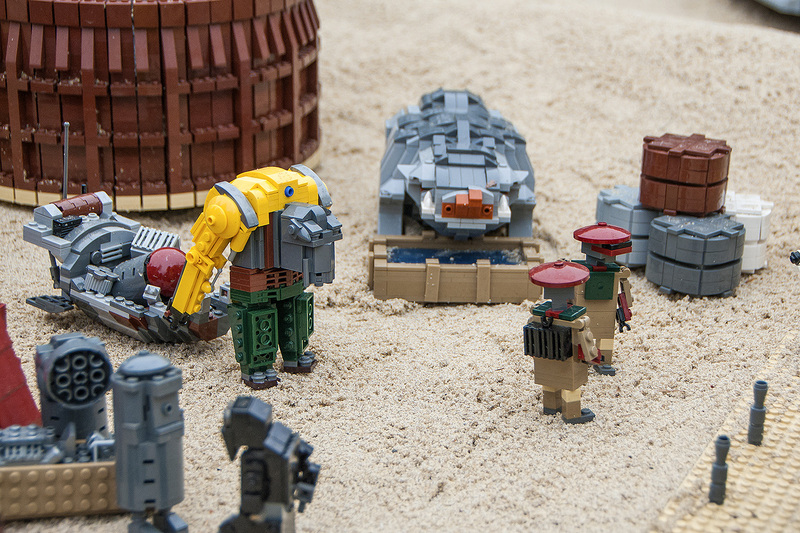 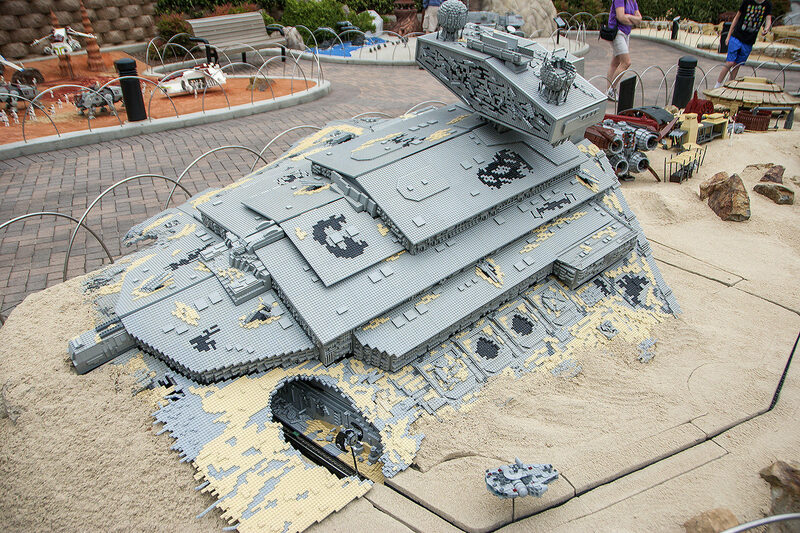 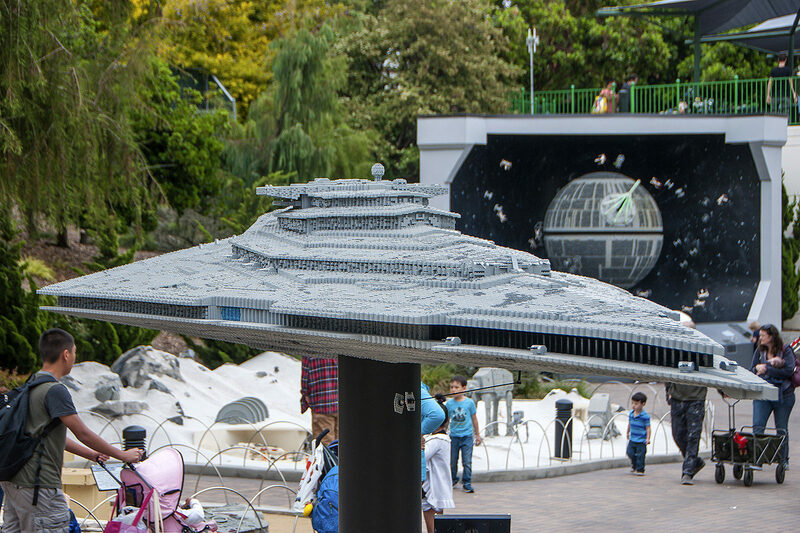 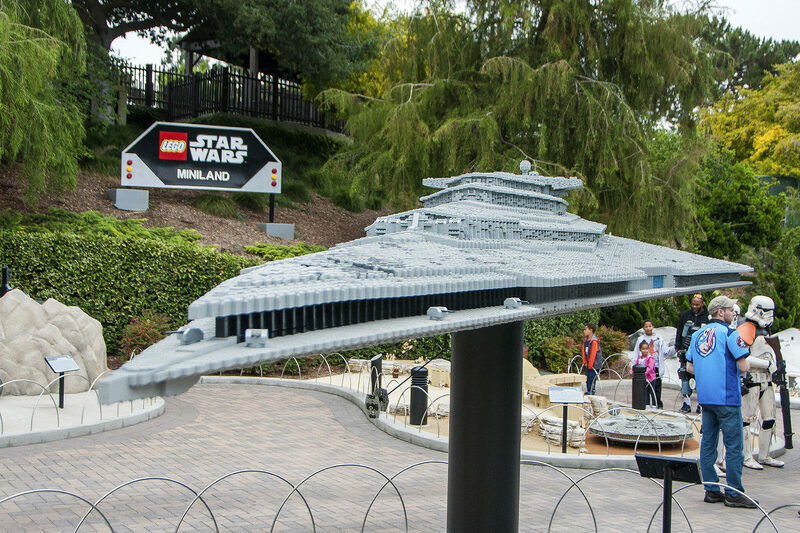 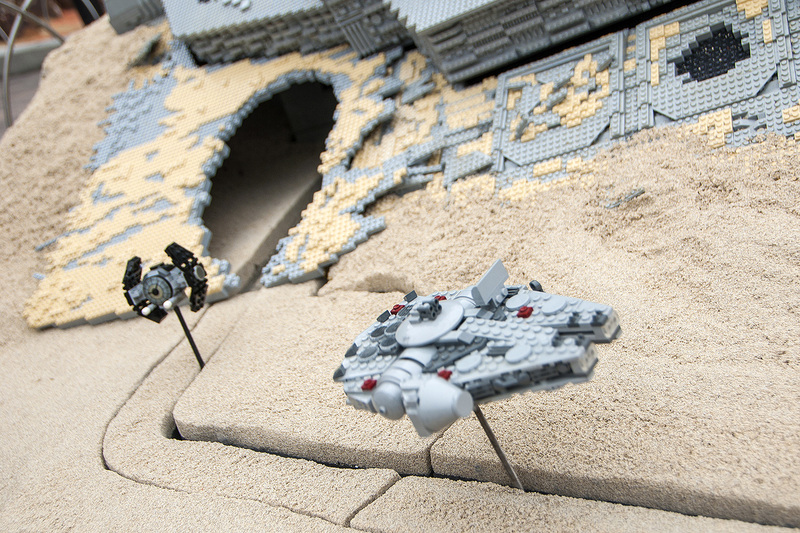 Star Wars Miniland is included in admission to LEGOLand California. 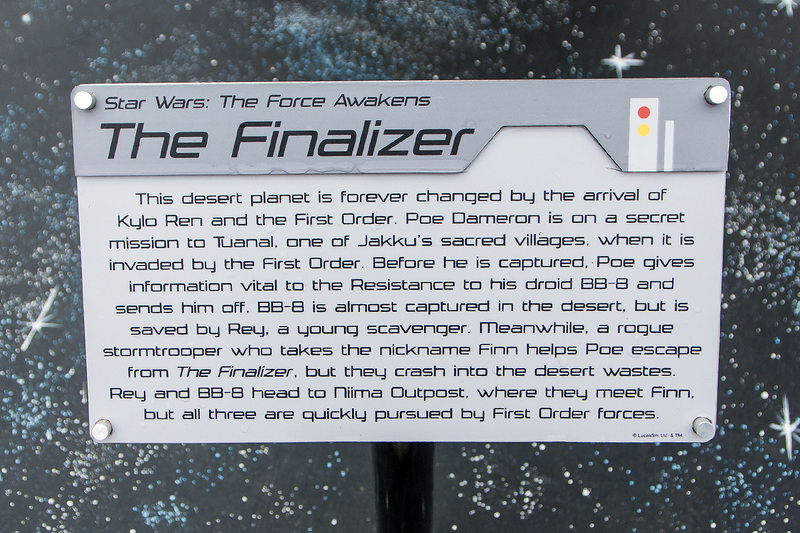 Poe Dameron running out of time hands BB-8 the map to find Luke Skywalker. 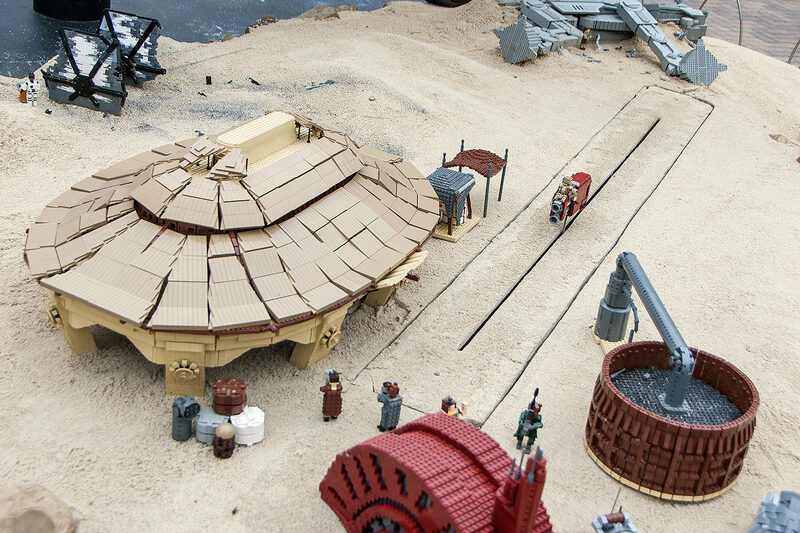 Kylo Ren encounters poor Lor San Tekka in his doomed village of Tuanal. 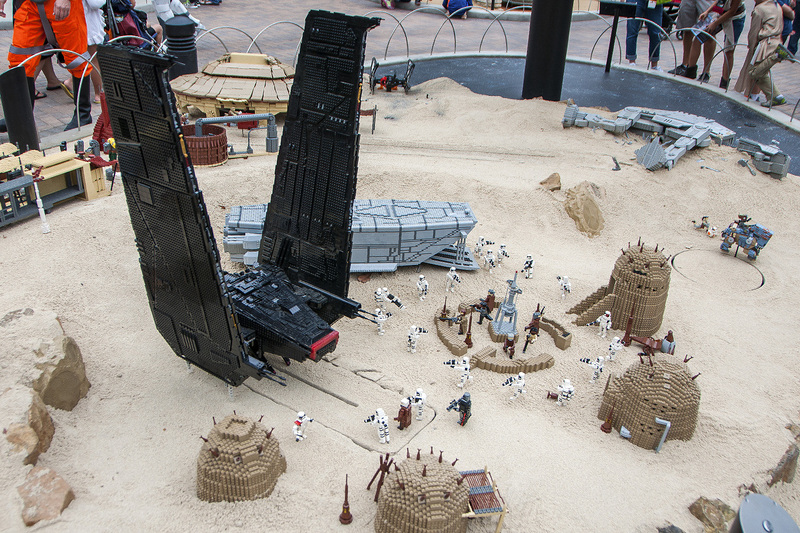 The Finalizer, Kylo Ren’s Star Destroyer hovers above the Jakku miniland display. 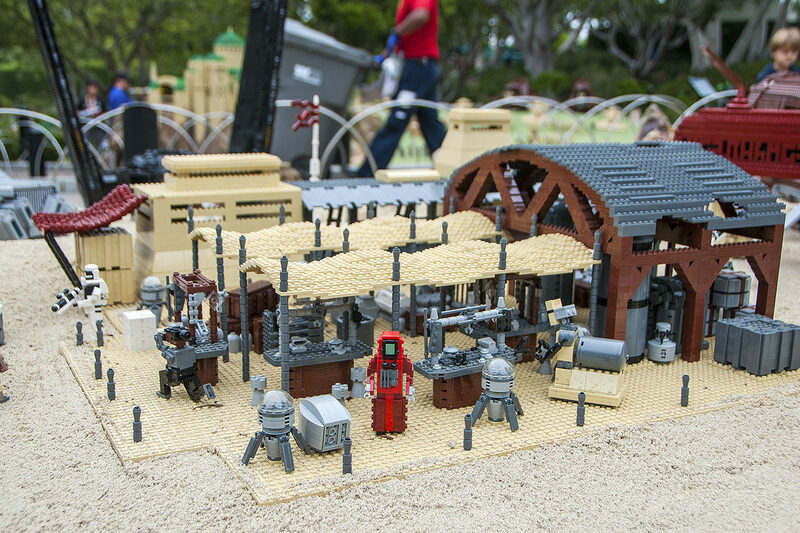 Rey, the scavenger heads into the village. 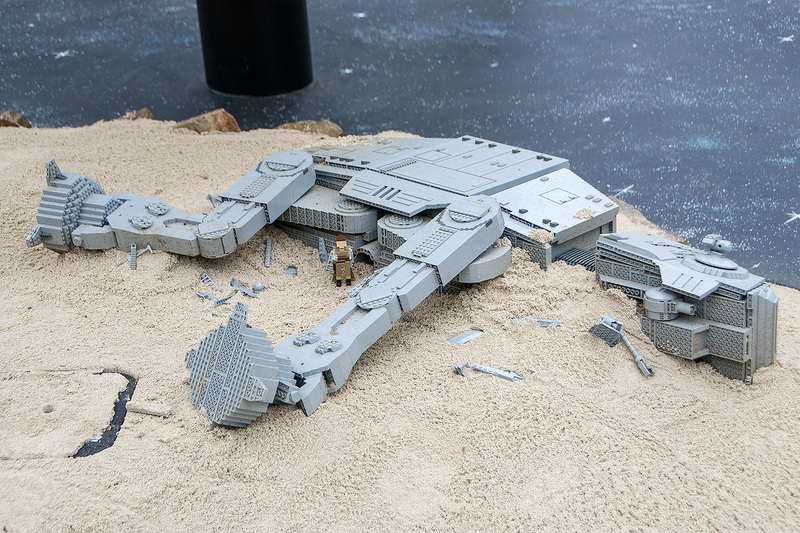 Home is where the heart is AT-AT according to Rey. 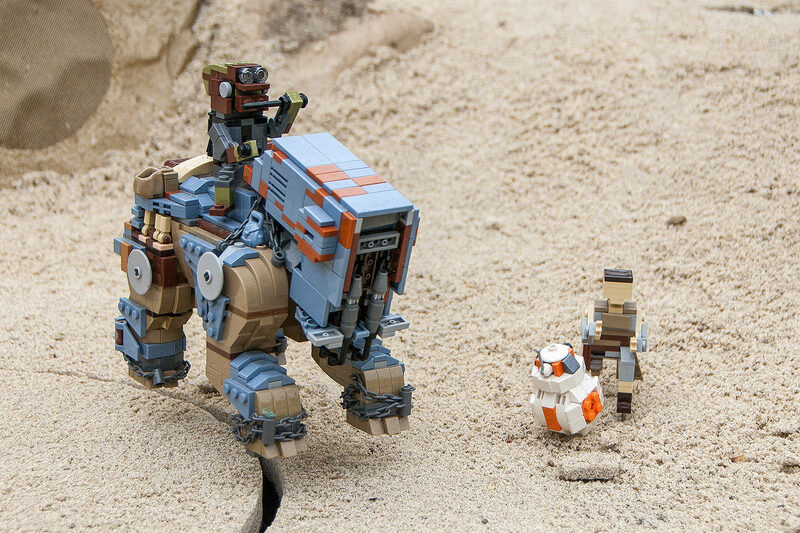 Rey saves BB-8 from Teedo, a Jakku Scavenger. 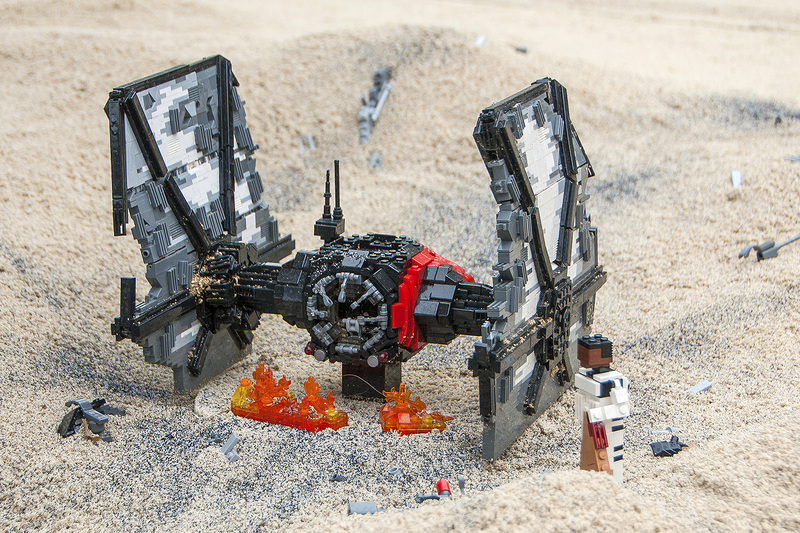 Finn crashes lands in a stolen Imperial TIE Fighter. 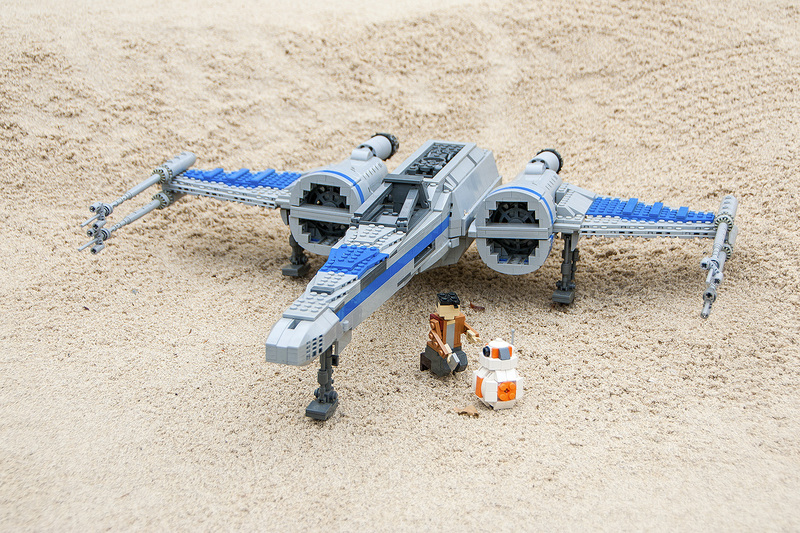 In hot pursuit, Rey, Finn, and BB-8 try to escape from the First Order. 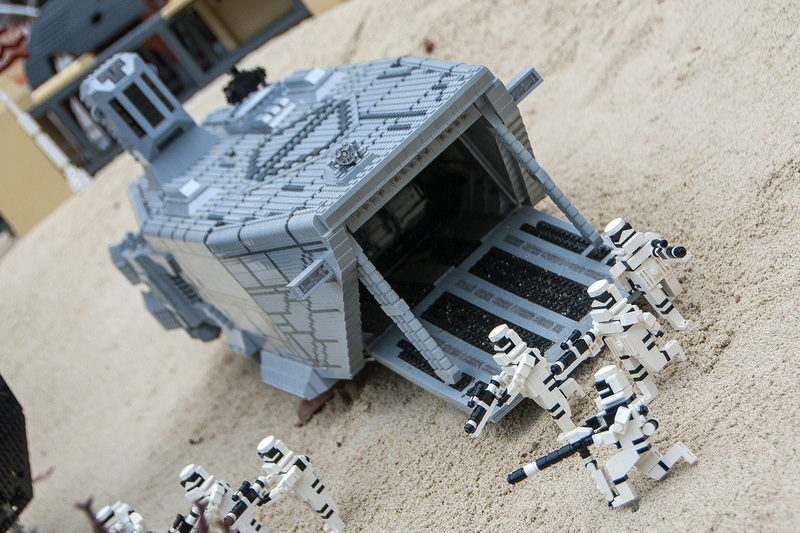 Escaping in a stolen Millennium Falcon, Rey and Finn manage to escape their enemies in a crashed Star Destroyer.